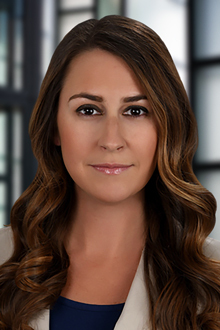 Los Angeles, CA (November 14, 2018) – Los Angeles Partner Jessica L. Beckwith will join a panel titled ‘The Impact of California’s New Rules of Professional Conduct, Particularly on Real Estate Practitioners’ on December 4 at the offices of the Los Angeles County Bar Association (LACBA). The evening will be hosted by the LACBA’s General Real Estate Subsection and Land Use Planning and Environmental Law Subsection. Ms. Beckwith and three other expert attorneys will discuss the recent changes to California’s Rules of Professional Conduct and their impact on the substance of what California lawyers must now do to fulfill their ethical obligations. The panel discussion will also cover specific examples that focus on the various practices of real estate attorneys. Ms. Beckwith is a member of Lewis Brisbois’ Real Estate & Environmental Practice as well as its Professional Liability Practice. Her experience in attorney regulation and ethics includes advising attorneys and law firms on matters relating to State Bar complaints in California, as well as fee disputes, disciplinary matters, disqualification issues, bar admissions, and other licensing, ethics, and professional responsibility issues. Learn more about this event and register here. Dial-in information will be provided for those who cannot attend in person.